For a long weekend in the Caribbean, I refuse to pack anything that won’t fit into carry on travel bag. I imagine as soon as I step foot on the island I’ll slough off my city girl cloak and my true inner boho will emerge. My boho self would wander barefoot, content with a single sundress and bikini. But then I remember that the Caribbean is kind of hot and humid. That single sundress wouldn’t make it five days. And barefoot is well, just asking for trouble. 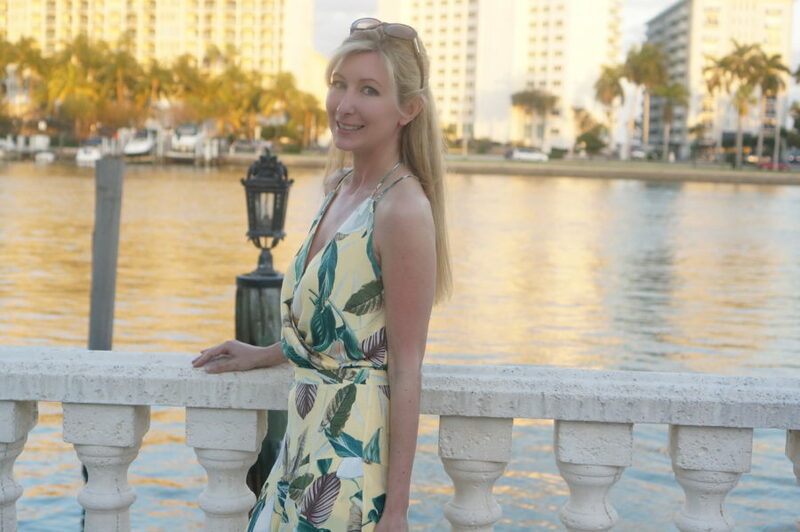 So packing resort wear for my Caribbean vacation might take just a little more thought– I want the right balance of easy outfits and beach dresses that won’t take up too much room even in a carry on. Because as the Souvenir Finder, that carry on is going to be stuffed with Cuban cigars and rum and anything else I might find. I recommend planning your resort wear outfits and travel dresses well in advance of your Caribbean trip– that will give you ample time to shop for new outfits if your current wardrobe isn’t up to snuff. What Resort Wear to Pack: Comfy Short Dresses in a Pop of Color. Vacations are special and we don’t take them everyday. When I’m on vacation, I want to look my best, but not sacrifice comfort or versatility. For ideas on what resort wear to pack, I sometimes check out the fashion blogger instagram accounts. Their perfectly composed shots gave me some great ideas for what kinds of beach dresses and resort wear outfits would look good in photos (and of course for instilling instagram envy later). I look for travel dresses that are easy to wear– that means nothing with a tight waistline or awkward straps that slip off or anything at all that needs adjusting. When reviewing the fashion blogger instagram accounts, it was clear that the silhouette of the resort wear outfit made a difference. Flowy dresses and full skirts have great movement and are very travel and photo friendly. For colors, I like to have options of travel dresses in both subtle pastels and bright bolds. Dresses look best when they reflect your travel surroundings. For the Caribbean, instead of graphic prints, think flowers and festive looks. My latest Caribbean vacation took place in Havana, Cuba (yes, Cuba is actually part of the Caribbean). Like many Caribbean capitals, Havana is a flood of color– a gorgeous colonial city with a mix of architectural styles. I planned to stroll Havana’s narrow city streets, visit tobacco fields, and try to squeeze in some beach time on my five day trip (alas the beach time didn’t happen). Here’s what travel outfits I packed and some ideas for similar styles to shop. Note: all my shopping picks (which I will update to keep current) are from Zappos, which I adore for its free shipping both ways and ridiculously generous return policy (365 days!). I can’t tell you how many times I’ve been stuck with a dress in an extra size because I was too slack to comply with a thirty day return policy. The Caribbean is tumbling with gorgeous tropical flowers and verdant landscapes. Fit yourself right into that scene with a flowy floral dress. Maxi dresses are great for photos too– lift the hem or do a twirl to catch the pretty shape. Make sure to select a long dresses with a slit so you’re not hobbled when you walk– essential for travel. I love how the muted florals on this long beach dress look against the pastel building behind me in the streets of Old Havana, Cuba. Gentle tropical breezes make for a pretty silhouette in this long floral beach dress (Old Havana, Cuba). A yellow dress pops against a lush green lawn framed by palm trees. At the Hotel Nacional in Havana, Cuba. Tropical leaves and palm trees give me a vacation vibe in this dress that I take on all my warm weather travels. If you’re looking to shop for some new long floral dresses, these beach dresses below are similar and would look fantastic in a tropical travel setting as well as back home. This cute maxi dress would look great over a bikini or on the street. I love the soft muted colors on this long slip dress, perfect for exploring a pastel walled colonial town or just beach combing. The ample slits make walking easy. A great travel dress or to wear back home. 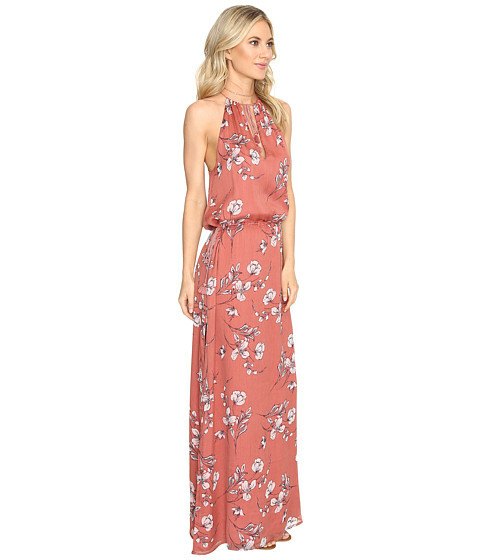 This gorgeous long floral dress also has a side slit for easy movement. I’m ordering this dress for my next vacation travels. 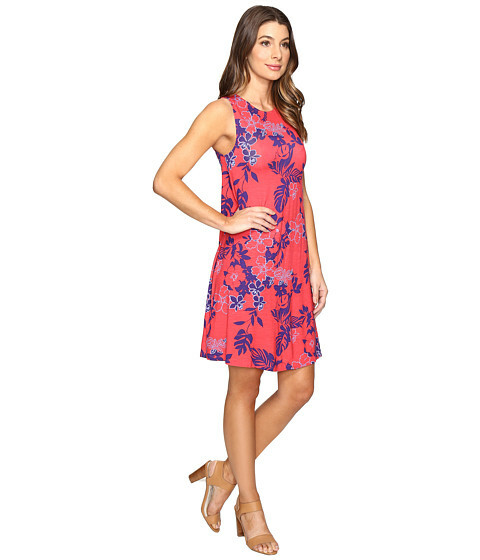 An easy summer or warm weather travel dress to wear at a great price. 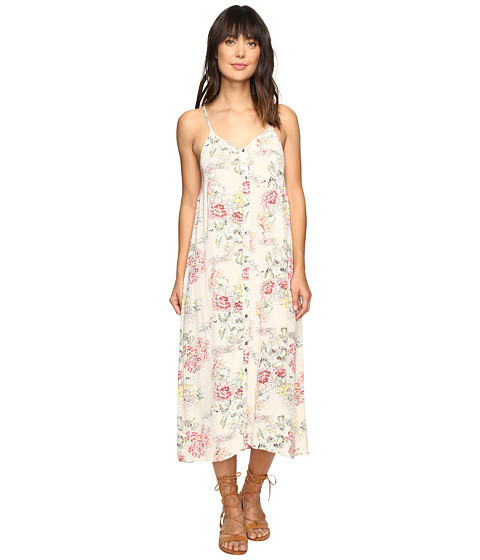 This sweet long floral dress is a bargain at only 59.99, perfect resort wear. Dresses and tops that fall gently off the shoulders always make me feel festive and in a vacation mood. You can usually play with sleeves and adjust them to find the most flattering coverage. And really, who doesn’t have great shoulders? 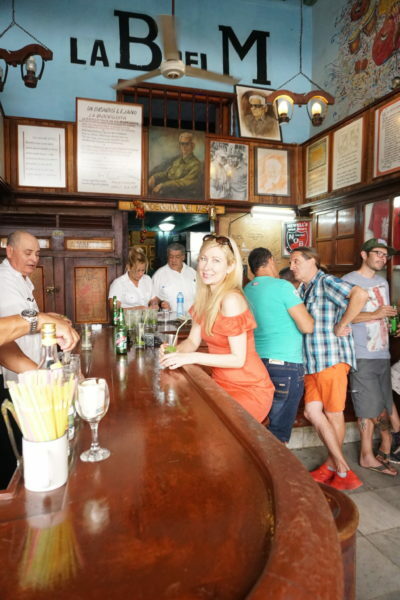 I wasn’t about to wear shorts and an old t shirt to Earnest Hemingway’s favorite mojito bar, La Bodeguita del Medio in Vieja Havana, Cuba. A little ruffled off the shoulder red dress made me feel like part of the scene. Colonial Caribbean cities have some gorgeous old buildings. A great way to photograph them is to add some contrast by putting a person in the shot. (Church exterior in old Havana, Cuba). Orange/red ruffled off the shoulder dress. 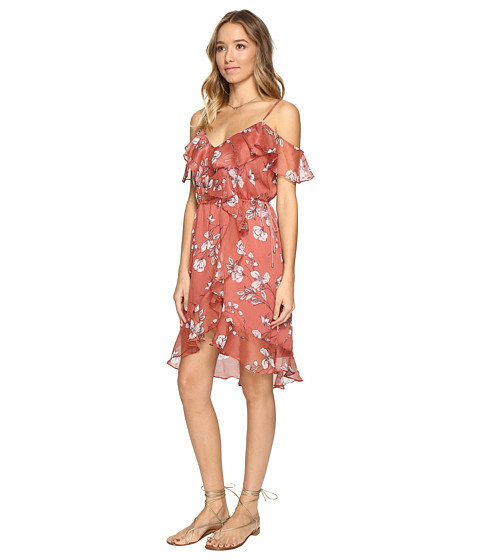 I love how this off the shoulder dress has spaghetti straps to hold the dress up no matter how low the shoulders are (my dress above does as well). If it’s chilly at night try some gentle sleeves like on this stunning blue and hot pink off the shoulder dress. This off the shoulders dress has sleeves perfect for breezy evening. 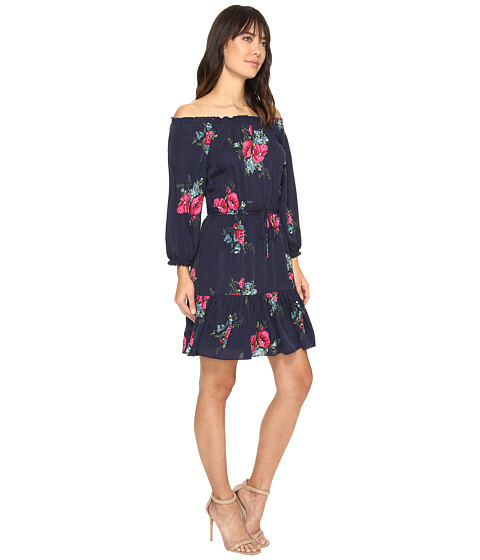 This off the shoulder dress is super cute. 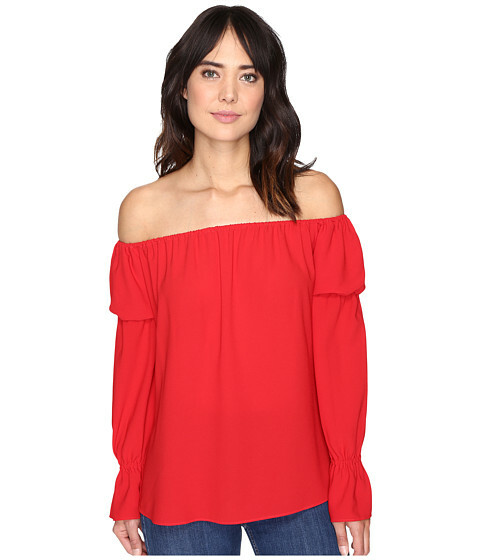 If you aren’t a dress girl, then try pairing an off the shoulder top in bright red with flowy pants. 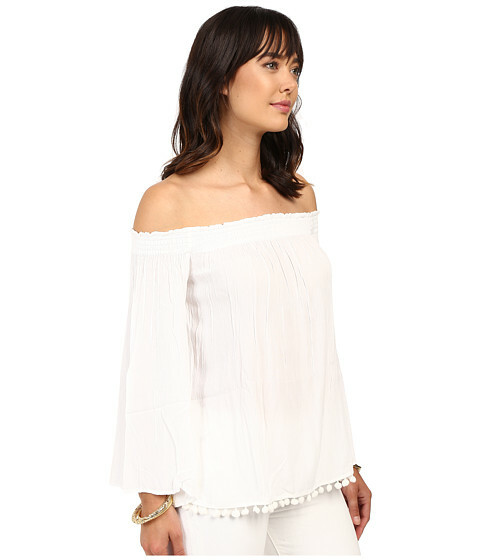 Another alternative– a white off the shoulder top will work with everything. My go-to-don’t-have-to-think about-it vacation outfit is a soft, short dress in a bright color. 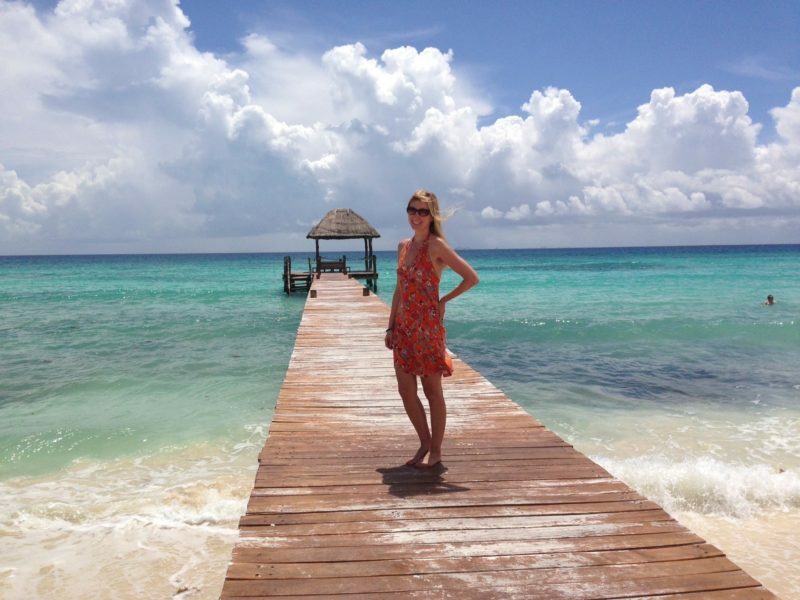 I make sure to pick dresses with no waist or a gentle waistline– way more comfortable and I don’t have to worry about how many pina coladas I’m drinking (we averaged 3-4 a day in Cuba– yes they’re that good there). Bright colors look incredible against pastel buildings, on beaches, pretty much everywhere. This empire waist style bright red dress is one of my favorite travel dresses to wear on vacation. I loved how it looked against this beautiful pale green door (Old Havana, Cuba). This cotton orange halter dress is easy to wear and a nice contrast against the ocean and sky. It’s my go to beach dress. You can easily roll this cotton dress up into a ball and not worry about wrinkles– making it the perfect travel dress. 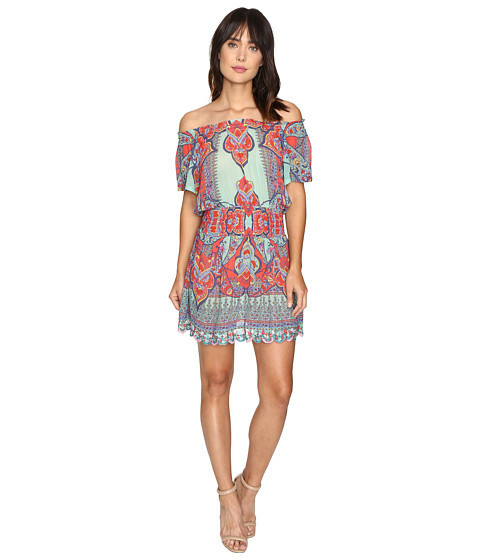 This relaxed travel dress has a little more length to it, for the ultimate comfy and colorful beach dress . 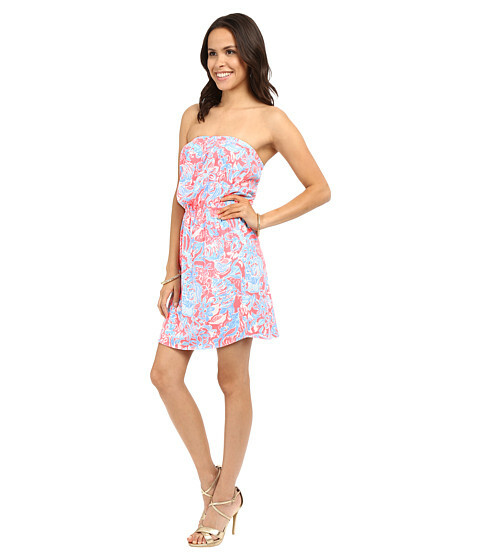 Cute for the beach or city this cinched waist dress cuts a pretty shape. This adorable cotton dress actually has a waist– but no worries it’s stretchy elastic. Keep ordering those pina coladas. Cheap and chic beach dress, I’ll take it. Another bargain dress find– this tank dress is only $36. I’m a fan of red dresses– this one is easy to wear. An electric blue dress is a fun change to mix things up. While I prefer wearing dresses in town and sometimes by the beach, there are times when nothing beats a pair of unfussy, cut off denim shorts. I wouldn’t recommend wearing cut off shorts in the city of Havana but in Cuba’s tobacco fields or beachside anywhere in the Caribbean they’ll be perfect. While this outfit is low-key and no fuss, I did make sure to wear a bright top to contrast the green tobacco fields. A big straw hat was for sun protection but worked nicely in photos too. Trying to smoke a Cuban cigar. You probably have denim cut offs in your closet already. But if somehow you have yet to buy a pair or nee an upgrade, these cut off denim jean shorts are great. I can’t think of an item I wear more than my denim shorts so it’s worth it to get a perfect fitting pair. I bought my straw hat at a market in the Cuban countryside for $5. It was perfect to wear in Cuba, but to be honest it was a pain looking for one. And as you might expect, you get what you pay for. Even packing it separately, my hat barely survived the short flight home (it has a big crease in it). I’d rather just invest in a decent hat that can withstand being thrown in a suitcase (pricier straw hats are flexible and won’t hold dents). 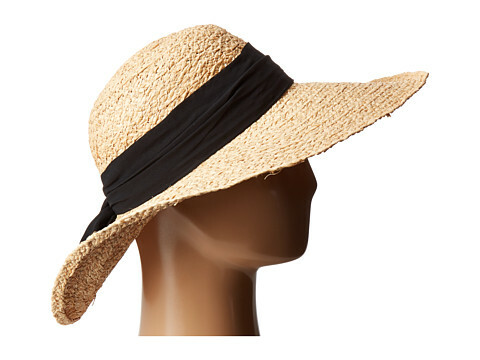 I love the band on this big straw hat, totally my look. 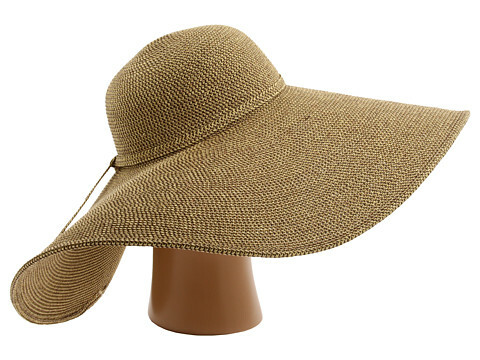 This floppy hat is also super cute– and can be crushed without ruining it. I fully intended to bring more than one pair of sandals on my trip to Cuba. But, I live in an obscenely small apartment in Manhattan. Out of season clothes are stuffed into every available crevice around my apartment. The problem is, sometimes, I have no idea which crevice. I could only find one pair of sandals before I had to leave for the airport– fortunately, they were a simple, neutral brown pair and worked with everything. I also saved a ton of carry on space, as multiple sandals can be bulky. I’m not sure I’d recommend only bringing one pair of footwear, but in a pinch I was totally fine. 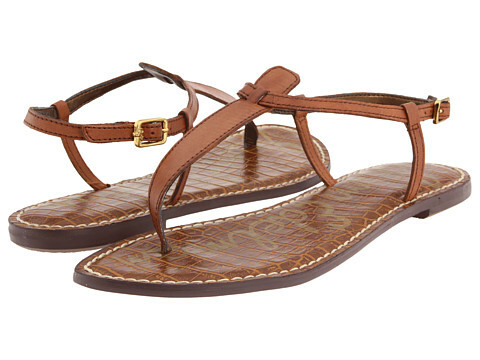 They don’t make my sandals anymore, but these similar best selling sandals are a bargain at only $74. Chances are good that you’re taking your vacation to the Caribbean in the middle of winter. You might be tempted to throw your favorite summer outfits in your suitcase without thinking twice about it, but I strongly urge you to try everything on before packing. Somehow, summer clothes seem to shrink when in storage. I also find that dresses that I was excited to wear all summer might now look a little frayed, duller than I imagined. 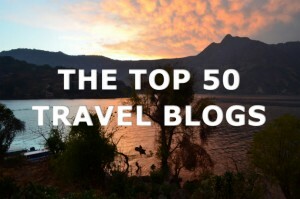 So it’s worth it to make sure you love it before taking up valuable suitcase space. 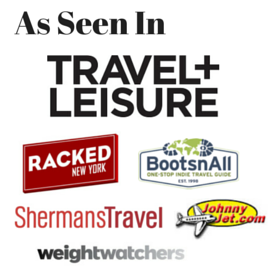 Disclosure: this post contains affiliate links to my favorite online store Zappos. I earn a tiny commission on sales (which are of absolutely no cost to you). If you enjoy my posts please help out by using the links, thanks! Thanks to my travel buddy Tripping Blonde for patiently taking most of these photos of me! All well and good, Kristin. But what would you recommend for guys to pack? I’m a guy, and there’s almost nada advice for me in this post except for maybe the sandals and a good sunhat. I concur about traveling light in the Caribbean. While you’re replying, please consider that as a cruise passenger, we cruisers are advised not to wear bathing suits in town, wear shorts in churches, and for women to cover their shoulders when visited churches, mosques, or synagogues.